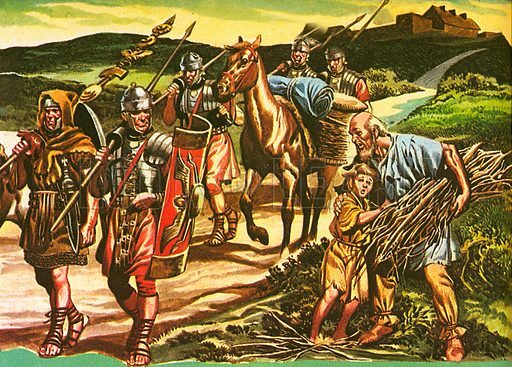 Romans were famous for their skill at building roads. They are particularly remarkable for preserving a straight course from point to point, regardless of the obstacles which might have been avoided by a few twists and turns. No roadbuilders since have surpassed the Romans for solidity of construction. Some Roman roads still remain as the foundations of more modern roads The soldiers in the picture are marching along the Great West Road, which is now the A4. Available worldwide for immediate download up to 4,725 x 3,386 pixels.